The 12th Annual Southern Obesity Summit is coming to Charleston, WV, October 22-24, 2018. 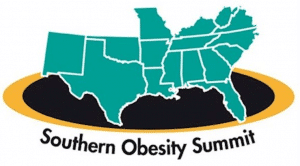 The Southern Obesity Summit (SOS) is the largest regional obesity prevention event in the United States, drawing hundreds of participants from 16 Southern States consisting of Alabama, Arkansas, Florida, Georgia, Kentucky, Louisiana, Mississippi, Missouri, New Mexico, North Carolina, Oklahoma, South Carolina, Tennessee, Texas, Virginia and West Virginia. Together, these states join forces to fight obesity. The Summit is presented by Texas Health Institute and West Virginia Bureau for Public Health Division of Health Promotion and Chronic Disease. This year the Summit is focusing on the infrastructure and processes necessary to implement policy and practice in an effective manner with a result of positive system change, and an outcome of health equity. Help stakeholders strategize next steps to implement policy and program initiatives across all 16 states to support obesity prevention, decreasing health disparities and improving health equity. The Summit will be held in the Charleston Civic Center. Continuing Education Credits will be provided! Application in process for Physician, Nursing, Dietician, and CHES continuing education credits!